The cerambycid beetle, Dectes texanus texanus LeConte, an indigenous, univoltine species, is a pest of cultivated sunflower. 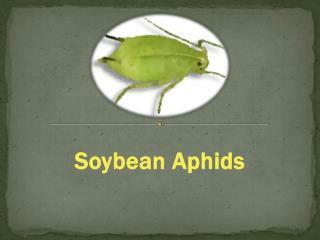 During 1960’s this species emerged as a new pest on soybean. This led to speculation as to whether the populations infesting sunflower and soybean are panmictic or isolated. Our goal is to quantify genetic variation patterns among samples collected from soybeans and sunflowers to assess whether D. texanus populations are undergoing sympatric genetic divergence. We isolated 10 polymorphic microsatellite markers from genomic DNA. These loci were amplified from populations of D. texanus collected from soybeans and sunflowers in Kansas. There is a moderate amount of genetic variation among the beetles infesting soybean and sunflower, suggesting partial barrier to gene flow. Our preliminary results indicated that microsatellite markers can be used to detect genetic variation on a fine scale, i.e., among samples collected a few hundred meters apart. Whether the genetic variation we detected is reflective of host plant usage or random variation remains to be seen with the inclusion of more samples. The presence of private alleles in both sunflower and soybean samples, however, is suggestive of incipient genetic divergence. 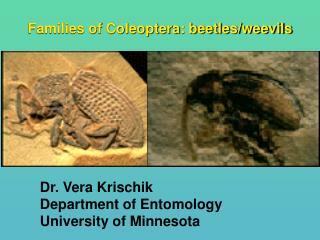 Additionally, only adult beetles were included in the present assay. 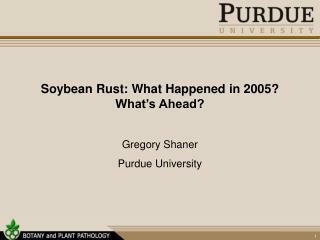 Therefore, we cannot be certain that individuals collected in soybean and soybean fields did in fact develop in the respective host plants. Therefore, we are presently collecting larvae (to know whether there exists host fidelity or oviposition preference by adults, feeding at diverse habitats) that over winter in the stubble of the host plant in which they developed. The initial results from one site in larvae indicated high genetic variation (FST = 0.27) among the populations infesting soybean and sunflower, indicating a degree of host plant fidelity and a mate preference, though adults feed on diverse habitats. Analysing larval samples from other sites, will help us to understand the dynamics of the sympatric divergence. The behavioral differences among D. texanus developing in soybean and sunflower (Michaud and Grant 2005) suggest a degree of host-plant fidelity, which is a prerequisite for genetic divergence through assortative mating. Fig 1: PAGE gel showing allelic variation at microsatellite locus (D. texanus 6, 190 bp). Each lane represents the amplification of the locus from an individual beetle. Lane 1 is molecular weight marker (600 bp ladder). A: a homozygote for allele c ; B: heterozygote for alleles c andb; C: heterozygote for alleles a and b. ( a = 188; b = 190; c = 192). A primary focus of evolutionary biology is the origin of biodiversity through speciation (Darwin 1859). While allopatric speciation is widely accepted, sympatric speciation has been controversial (Berlocher and Feder 2002). 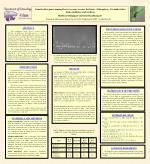 However, sympatric speciation may have played a major role in the diversification of phytophagous insects (D`res and Mallet 2002). The beetle, Dectes texanus texanus, historically a pest of cultivated sunflowers, began utilizing soybeans about 40 years ago (Laster and Thorn 1981). It is not known whether the beetles on soybean and sunflower are a panmictic population or if there is host specialization. 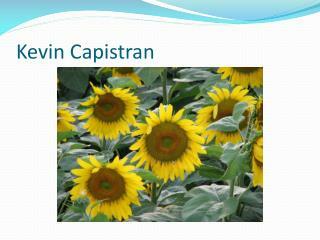 Michaud and Grant (2005) suggested behavioral differences exist among D. texanus infesting sunflower and soybean. 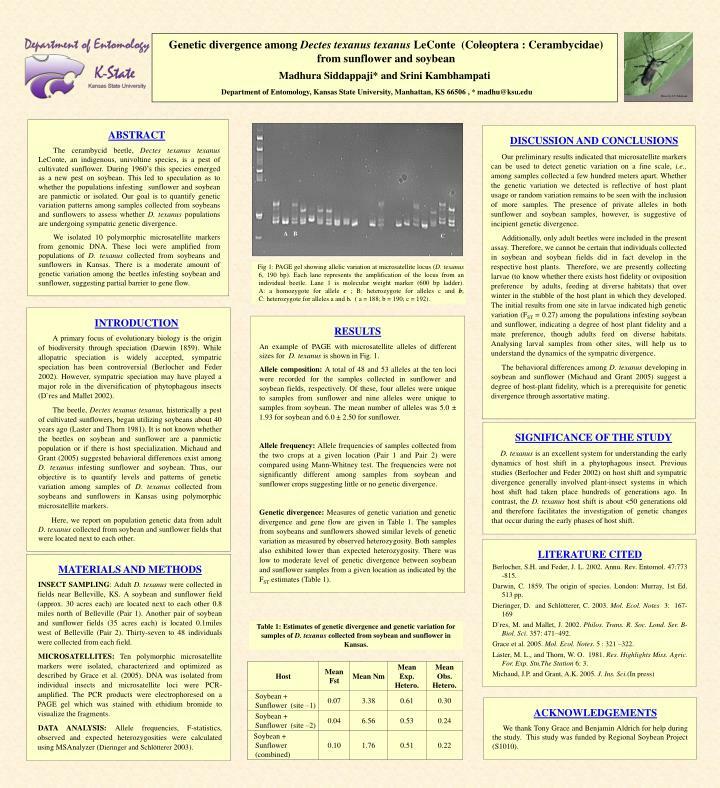 Thus, our objective is to quantify levels and patterns of genetic variation among samples of D. texanus collected from soybeans and sunflowers in Kansas using polymorphic microsatellite markers. Here, we report on population genetic data from adult D. texanus collected from soybean and sunflower fields that were located next to each other. An example of PAGE with microsatellite alleles of different sizes for D. texanus is shown in Fig. 1. Allele composition: A total of 48 and 53 alleles at the ten loci were recorded for the samples collected in sunflower and soybean fields, respectively. Of these, four alleles were unique to samples from sunflower and nine alleles were unique to samples from soybean. 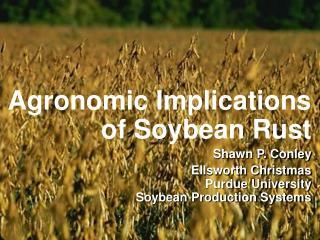 The mean number of alleles was 5.0 ± 1.93 for soybean and 6.0 ± 2.50 for sunflower. Allele frequency: Allele frequencies of samples collected from the two crops at a given location (Pair 1 and Pair 2) were compared using Mann-Whitney test. 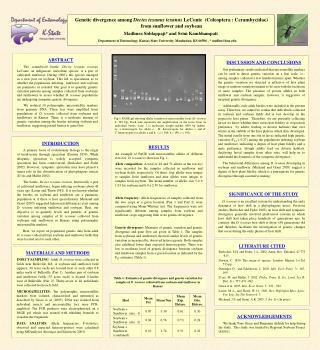 The frequencies were not significantly different among samples from soybean and sunflower crops suggesting little or no genetic divergence. 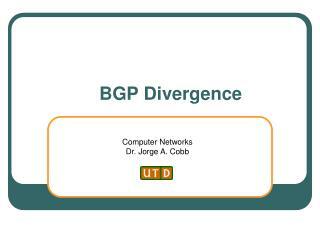 Genetic divergence: Measures of genetic variation and genetic divergence and gene flow are given in Table 1. The samples from soybeans and sunflowers showed similar levels of genetic variation as measured by observed heterozygosity. Both samples also exhibited lower than expected heterozygosity. There was low to moderate level of genetic divergence between soybean and sunflower samples from a given location as indicated by the FST estimates (Table 1). D. texanus is an excellent system for understanding the early dynamics of host shift in a phytophagous insect. Previous studies (Berlocher and Feder 2002) on host shift and sympatric divergence generally involved plant-insect systems in which host shift had taken place hundreds of generations ago. In contrast, the D. texanus host shift is about <50 generations old and therefore facilitates the investigation of genetic changes that occur during the early phases of host shift. Berlocher, S.H. and Feder, J. L. 2002. Annu. Rev. Entomol. 47:773 -815. Darwin, C. 1859. The origin of species. London: Murray, 1st Ed. 513 pp. D`res, M. and Mallet, J. 2002. Philos. Trans. R. Soc. Lond. Ser. B-Biol. Sci. 357: 471–492. Grace et al. 2005. Mol. Ecol. Notes. 5 : 321 –322. Laster, M. L., and Thorn, W. O. 1981. Res. Highlights Miss. Agric. For. Exp. Stn.The Station 6: 3. INSECT SAMPLING: Adult D. texanus were collected in fields near Belleville, KS. 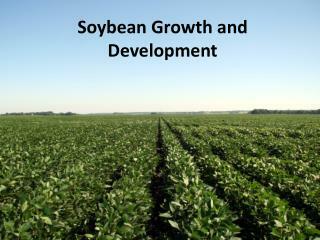 A soybean and sunflower field (approx. 30 acres each) are located next to each other 0.8 miles north of Belleville (Pair 1). 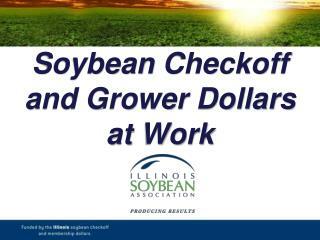 Another pair of soybean and sunflower fields (35 acres each) is located 0.1miles west of Belleville (Pair 2). Thirty-seven to 48 individuals were collected from each field. MICROSATELLITES: Ten polymorphic microsatellite markers were isolated, characterized and optimized as described by Grace et al. (2005). DNA was isolated from individual insects and microsatellite loci were PCR-amplified. The PCR products were electrophoresed on a PAGE gel which was stained with ethidium bromide to visualize the fragments. DATA ANALYSIS: Allele frequencies, F-statistics, observed and expected heterozygosities were calculated using MSAnalyzer (Dieringer and Schlötterer2003). Table 1: Estimates of genetic divergence and genetic variation for samples of D. texanus collected from soybean and sunflower in Kansas. We thank Tony Grace and Benjamin Aldrich for help during the study. 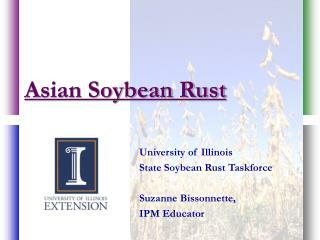 This study was funded by Regional Soybean Project (S1010). 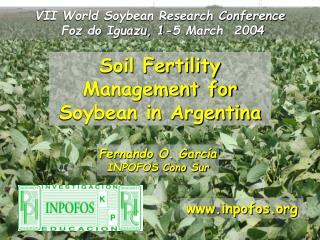 Soil Fertility Management for Soybean in Argentina -Vii world soybean research conference foz do iguazu, 1-5 march 2004. soil fertility management for soybean in argentina. fernando o. garcía inpofos cono sur. www.inpofos.org. outline. 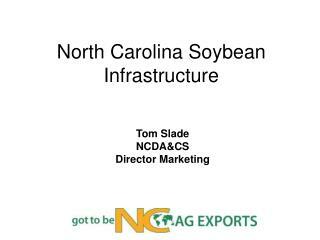 Soybean Outlook and the New Farm Bill Programs -. 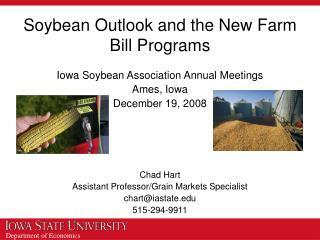 iowa soybean association annual meetings ames, iowa december 19, 2008 chad hart assistant professor/grain markets specialist chart@iastate.edu 515-294-9911. u.s. soybean supply and use. -30. 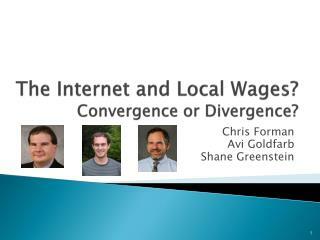 The Internet and Local Wages? Convergence or Divergence? -. chris forman avi goldfarb shane greenstein. core question. did the diffusion of the internet contribute to convergence or divergence of wages across locations in the united states? 9.7 Divergence and Curl -. 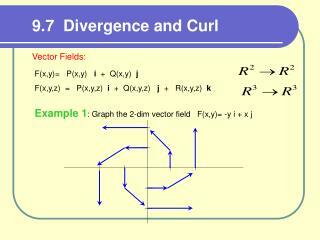 vector fields :. f(x,y)= p(x,y) i + q(x,y) j f(x,y,z) = p(x,y,z) i + q(x,y,z) j + r(x,y,z) k. example 1 : graph the 2-dim vector field f(x,y)= -y i + x j. draw vectors of the same length. 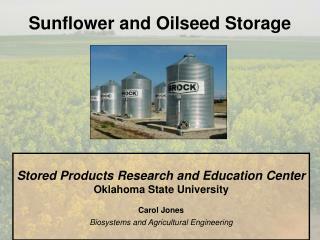 Sunflower and Oilseed Storage -. stored products research and education center oklahoma state university carol jones biosystems and agricultural engineering. storage concerns. 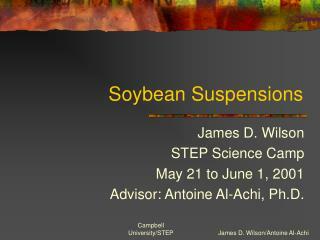 sunflower canola soybean sesame safflower. storage concerns. 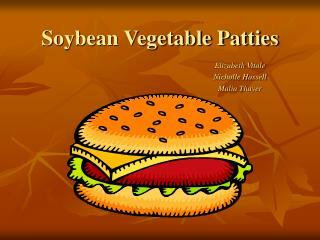 Translation of Food Science Research Findings into Application Improvement of Soybean Oil Flavor -1804 : soybean was first mentioned in american literature by james mease1911: soybean imported from manchuria was processed in america1922: a. e.
Kevin Capistran -. rrv yield expectations. normalized yields. sunflower challenges. 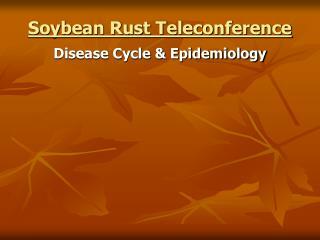 fewer weed control options insects harvest loss disease phomopsis sclerotinia head and stalk rot. soybeans vs. sunflower. soybeans vs. sunflower.